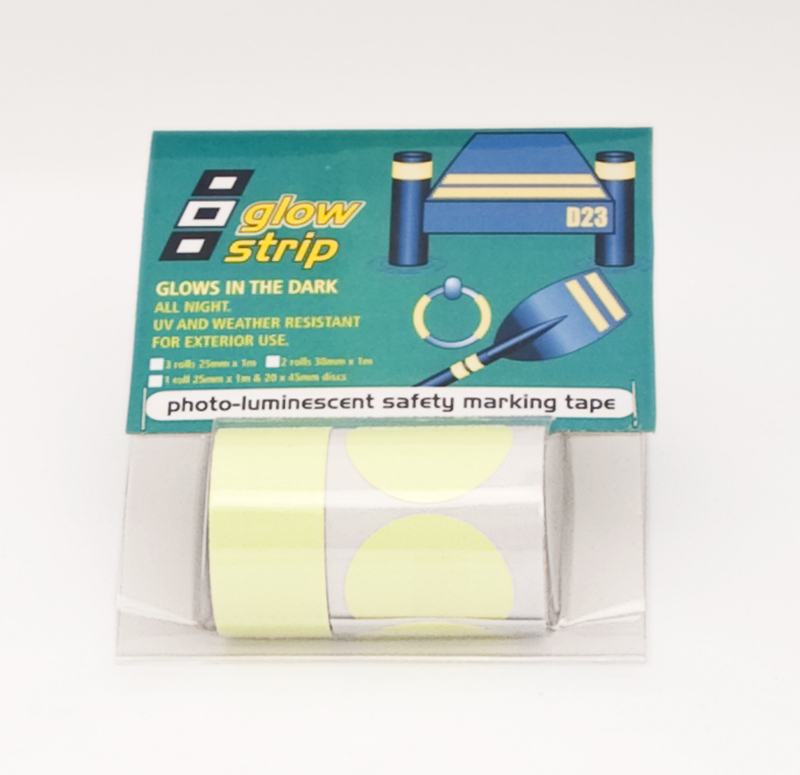 Glow Strip is a new photo-luminescent safety marking tape, which is designed to be seen all night. It is UV and weather resistant and specially designed for exterior use. It can be used to highlight a dock, mooring area or fastening point and is also ideal to apply to oars on a tender to provide visibility to other water users in twilight or at night. Glow Strip can also be applied to interior areas, to mark companionways or ladders and bulkheads to ensure safety of movement throughout the cabin while underway at night. Glow Strip can be applied easily by removing the backing tape from the adhesive side and pressing down firmly onto a clean dry surface. The tape is designed to charge in natural light and provides a high intensity initial glow, after which it retains sufficient energy to be seen all night long. PSP Marine Tapes produce products to meet the discerning requirements of the boating world; in this instance to provide a top quality glow in the dark safety marking tape. This is part of ongoing development to make sure that PSP’s specialist products work for their customers and that they have the right solution to hand for safety at night. All PSP products are easy to find anywhere in the world – just look for the logo, which is the international code flags ‘Papa, Sierra, Papa’. Availability: Via retailers and commercial distributors worldwide. If you experience difficulties obtaining Glow Strip, please contact us direct.